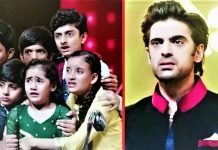 Kullfi Kumarr Bajewala: Sikandar to opt for a DNA test to solve Kulfi’s mystery Tevar tells Sikandar that Kulfi is his child. They return home and have a confrontation. Lovely wonders if Tevar will tell Sikandar that she has told him about Kulfi. Sikandar doesn’t believe Tevar. He asks Tevar to go and get his lover, to prove his word that he is Kulfi’s father. Lovely asks Tevar to clarify. Mohendar tells them that he doesn’t believe Tevar. Tevar tells him that Kulfi is his daughter, he never lies, if he doesn’t trust him, he can ask Kulfi’s aunt Nihalo. He tells Sikandar that Nihalo has told him the truth about Kulfi. Mohendar gets confused when Tevar tells them about Nihalo. Kulfi asks Tevar if he met her uncle. Tevar tells her that he has just met her aunt. Kulfi tells them that her aunt is a big liar, and can’t be trusted. Lovely asks Kulfi not to say so. 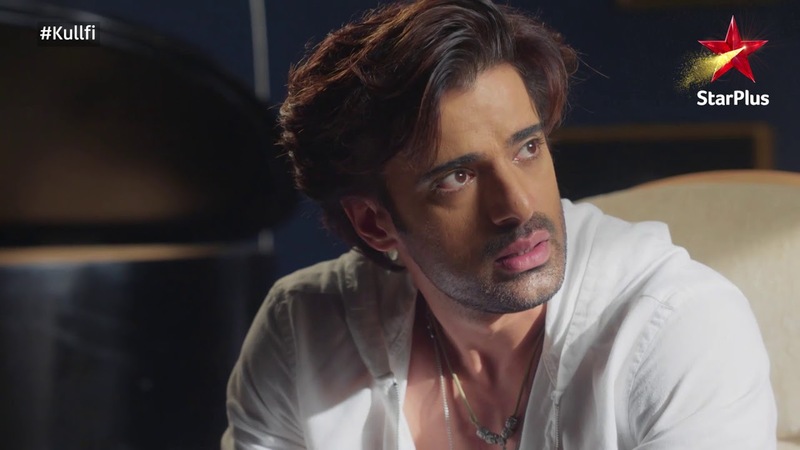 Sikandar asks Kulfi why does she think Nihalo is lying. Kulfi tells them that Nihalo was going to sell her so that she could sing for someone. She expresses her sorrows because of Nihalo. Sikandar believes in Kulfi’s words. He tells Tevar that he won’t send Kulfi with him till he proves the truth. Mohendar supports Sikandar. He knows the truth, and doesn’t agree with Tevar’s claims. He tells them that they can’t trust Nihalo. Sikandar tells Tevar that Kulfi can’t be his daughter. Tevar questions him if Kulfi is his daughter. Bebe angrily bursts out and tells them that Kulfi is indeed Sikandar’s daughter. Lovely gets panicking and asks Bebe not to take any stress. Bebe tells Tevar that nobody can take Kulfi from them. Tevar tells them that they are keeping Kulfi just to use her voice for Amyra. Tevar initiates a fight. Lovely asks Mohendar to send Kulfi with Tevar. She tells them that Tevar could be saying the truth. She asks them not to fight like literate people. She tells Mohendar that she is thinking about Kulfi’s betterment. He understands that she is lying to send Kulfi away. Lovely supports Tevar, so that he takes Kulfi away. Sikandar refuses to part ways with Kulfi. Sikandar tells Tevar that he won’t allow Kulfi to leave at ant cost. He cries out for Kulfi. He loves Kulfi from the bottom of his heart and feels the strong connection. He asks Tevar to bring out his lover in front of the world if he wants to take Kulfi with him. Lovely gets in to a fix. Tevar requests Kulfi to come with him, as he is her real father. Kulfi gets into a dilemma, since she always longed for her father. She tells him that Sikandar is saying the truth and she won’t leave him for anyone. She shows her trust in Sikandar. 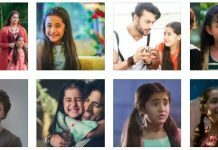 She refuses to accept Tevar as her father. Tevar wants Lovely to speak up the truth. Lovely tells him that things will get worse if they tell entire truth to Sikandar. Tevar tells her that he won’t lose his world because of her. He doesn’t want to lose Kulfi. He compels her to tell truth to Sikandar. She buys some time from him by reminding him their love. Mohendar confronts Lovely about her big lie. Kulfi tells Sikandar that she can’t believe Tevar is her father, as he has seen him in her dream. Lovely asks Mohendar to think about Amyra. Mohendar asks her not to threaten him about Amyra. Lovely admits that she has planned everything to send Kulfi with Tevar, who would give her deserved happiness and security. Sikandar and Kulfi share an emotional moment. Sikandar decides to find the complete truth before believing Tevar. Lovely worries when Sikandar opts for a DNA test to know Kulfi’s father.